Did Wealthy Fremont Sabin divorce his wife before his untimely death? That’s the multimillion-dollar question. And the right answer will mean a windfall for either the dead man’s angry son or headstrong widow. Each has accused the other of destroying Sabin’s will—and murdering Sabin. 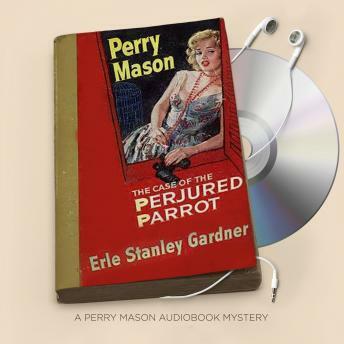 But with no document declaring to whom the affable eccentric intended to leave his fortune, Perry Mason faces a prickly puzzle.Even more puzzling, however, is the talking parrot. Casanova was Fremont Sabin’s beloved pet. But the bird found at the crime scene proves to be a foul-mouthed impostor. Suffice it to say that more than a few feathers will be ruffled as Mason sets out to clip a clever killer’s wings.